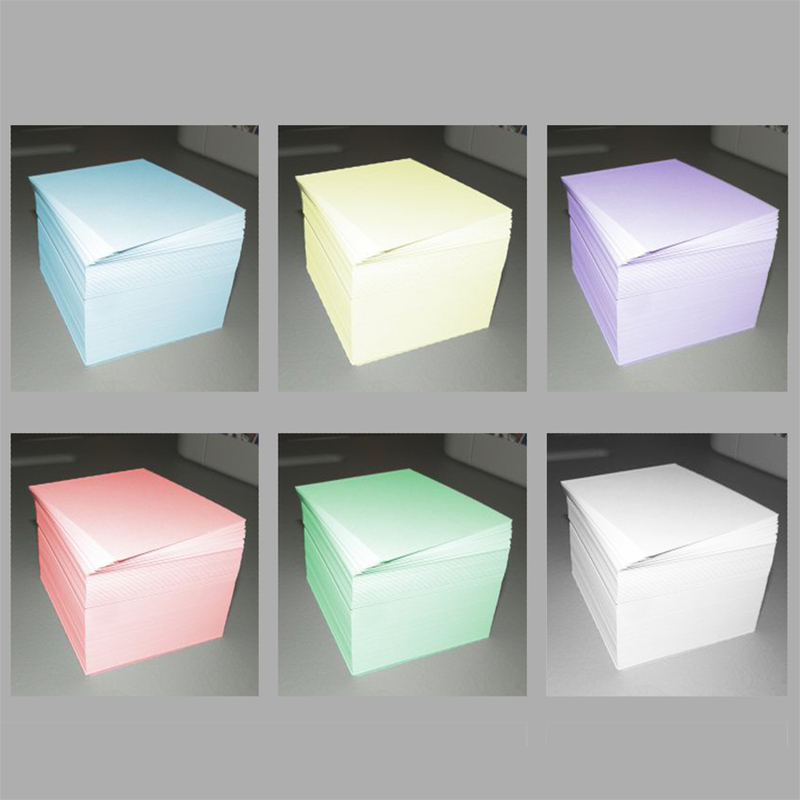 This is a set of 6 memo / note paper refill cubes. Each note cube paper stack measures 4" wide x 4" deep x 2" tall and has 500 sheets of blank, loose papers. Six note cubes in assorted colors. These do not have the sticky backs ... they are loose sheets of paper. These note cube refills work great for refilling your memo or note paper containers at home or the office! These memo / note paper cubes are Made in the USA. NOTE: We are happy to fill custom note cube orders so if you prefer various colors, or a different quantity, please let us know and we'll be happy to send you a custom invoice. Note cube orders of less than 12 will be sent via USPS Priority Mail and larger orders will be sent via FedEx Ground or UPS Ground. All shipments will include Tracking.